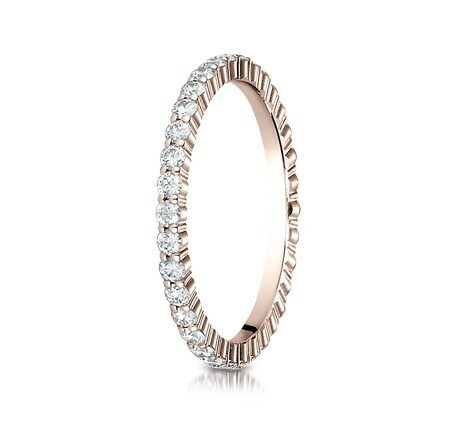 A wedding band is a symbol of never-ending love between the pair who wears them. The circle represents the promise made between a couple on their wedding day. A timeless tradition, it remains the most important part of any marriage ceremony. 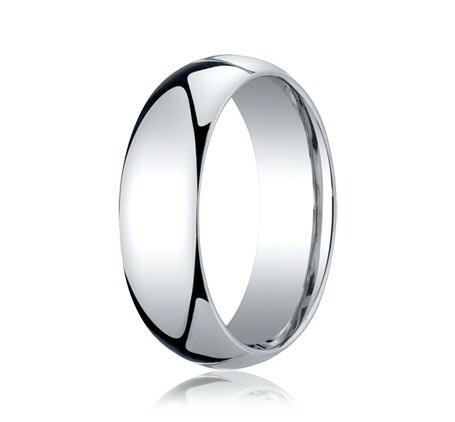 Made of either gold or platinum, plain bands or diamond bands ,these wedding ring for men are a timeless choice. Engraving options available. Made of either white gold, rose gold, yellow gold , platinum, plain bands or diamond bands ,these wedding rings for women are a timeless choice. Bova Diamonds offer a wide range choice for Dallas couples about to say ‘I do’ and make a life-long vow to cherish the person they love. Our Texas portfolio is filled with breathtakingly beautiful designs, precious stones and simple but sincere bands. We have rings of different timeless designs, made of various materials – from plain metal wedding bands to gorgeous and modern diamond styles. You can also have the rings personalized with engraving. Allow the expert team at Bova Diamonds to help you choose the perfect wedding rings for the most important day for couples in Dallas, Texas. One of the most treasured pieces of jewelry that you can own is your wedding ring. Its value not just lies in its material worth, but on the meaning that it symbolizes – commitment, dedication, and love. If you are looking for the perfect wedding ring or wedding band, it is not an easy task. Looking for the best wedding ring that fits the couple’s personalities, preferences and budget can be challenging, requiring a lot of thought and research.For excellent and personalized wedding rings, many people trust Bova Diamonds. Serving the community for over 30 years, their store is located in the heart of Dallas, Texas. Bova Diamonds is a trusted wholesaler and top jewelry designer, specializing in Bridal and Engagement jewelry. The wedding band is an important part of any marriage ceremony, the circular shape serving as a visual reminder of the everlasting love that couples promise each other. Since choosing the right wedding band is crucial, our team of professional jewelers and expert craftsmen are on hand to assist customers in choosing the perfect ring.We have classic and contemporary options for Men’s Wedding Bands. The groom can choose a wedding band made of either gold or platinum. He can even opt for a plain band or a diamond band. We currently have 43 wedding rings available that are designed for men with varying metal types. Two of the most common metals that we use are white gold and yellow gold, but we also offer wedding bands in rose gold, multi-gold, platinum, palladium, titanium, tantalum, tungsten, and Argentium silver. Our gorgeous wedding rings for women vary in metal type in design and are all equally stunning. Brides-to-be have 42 rings to choose from with varying metals – white gold, yellow gold, rose gold, or platinum and styles – halo, three stone, solitaire, or eternity rings.If you wish to design your own rings, you can visit our store to speak to a member of our sales team. Based on your ideas, our design team will craft a design in 3D using CAD technology. Our wide range of wedding bands provides couples about to make a life-long commitment plenty of options. All our rings are beautifully and intricately designed, with engraving options available. For a perfect fit, we also get the couples’ ring sizes. Our team at Bova Diamonds understand that on the most important day of their lives, couples should have the best possible wedding ring. You can be sure that every wedding band purchased from Bova will keep its value for life.